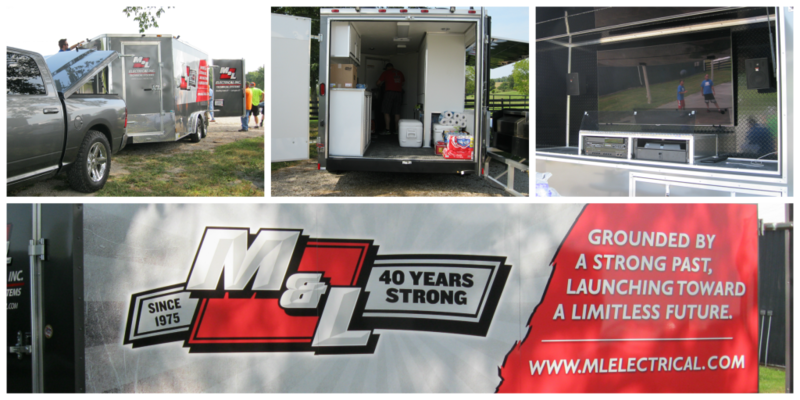 Recently, M&L celebrated the 40th anniversary of serving our communities. With the help of our customers, vendors, and friends, we hosted a successful open house to give back to the many people who have gotten us where we are today. This open house not only showcased our new expansion in our Bowling Green office that was finished during the beginning of this year, but it also allowed us to celebrate with the people who we are abundantly thankful for. Charlie Mosley and Jim Lockwood started M&L Electrical, Inc. in 1975 with only one truck and a vision of building the company from the ground up. Their humble beginnings, partnered with strong values of hard work, trust, and honesty, allowed them to start a thriving company whose mission and goals still stay the same today. M&L is continuously growing 40 years later thanks to our founders. 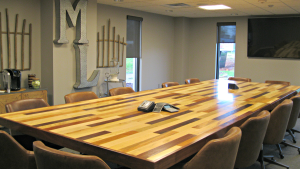 The ex pansion that M&L showcased at the 40th anniversary celebration includes numerous office additions, a remodeled reception area, and a new conference room fit to meet our growing needs. Also included is an expanded front side of the building. 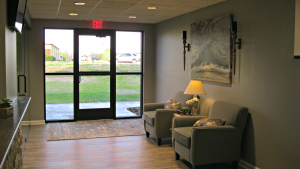 These renovations were made to accommodate our quickly-growing company. M&L is very appreciative of the many partnerships we have made and customers we have served. As we continue to grow, we look forward to many more years of fond memories and dedicated service. 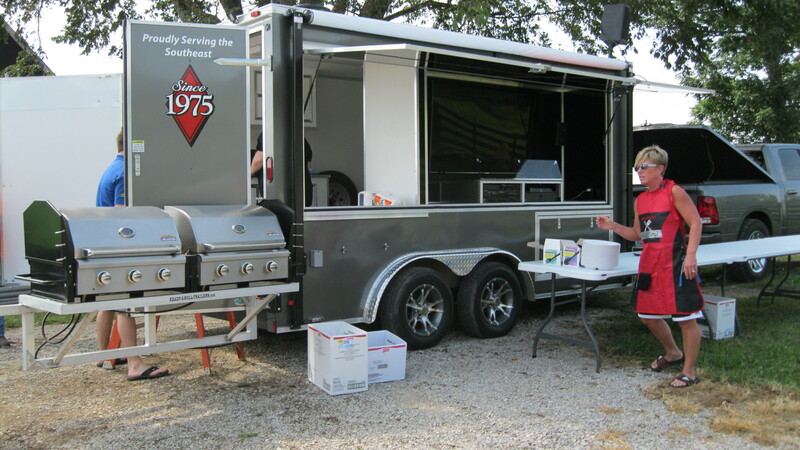 M&L is very pleased to announce the new Customer Relations Trailer built to cater to company and customer functions. This 16-foot trailer will be taken to selected job sites to help improve our rapport with our many customers and to show appreciation to our employees for a job well done. With the help of M&L Technical Systems, the trailer includes several electronic features such as a 65-inch LED smart TV with HD satellite receiver and wireless and wired audio-visual connections. The trailer also includes a sound reinforcement system complete with large full-range loudspeakers and a wireless microphone. In addition to the technology enhancements, the trailer also features two large built-in gas grills, cooler and prep/serving areas for lunch events. 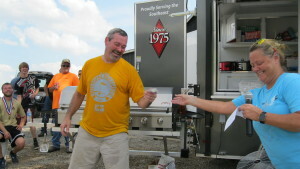 M&L is excited to take the Customer Relations Trailer on the road to give back to our wonderful customers and employees. 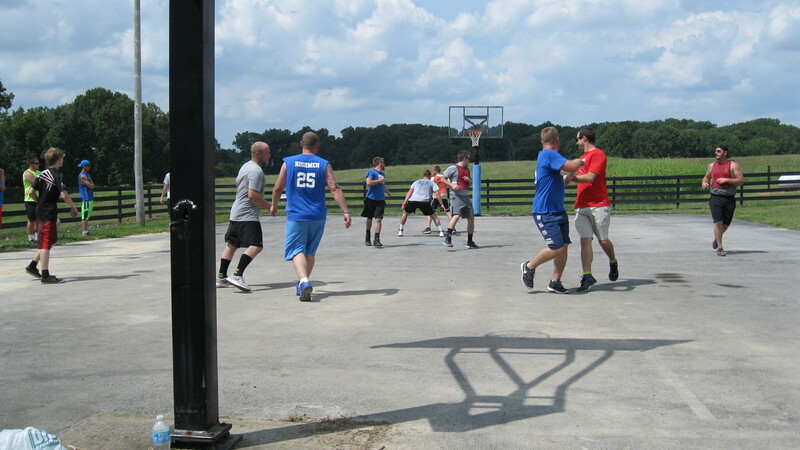 After a fantastic cookout led by Trish Pardue of our CAD department and Vincent Hester of our Engineering department, the two teams took to the court. The office team fought hard with steadfast determination, but the field team stepped up their game in a successful effort to win. As a result of two matches, the M&L field team claimed the 2015 basketball champion title. Both teams played very well and showed excellent sportsmanship. Chris Mosley accepts his award. Awards were given out after the game based on several categories, including MVP for each team, rebound king, and slam dunk king. Chris Keith was given the field MVP award, while Tyler Cockerel was recognized as the office MVP. Other award winners included Chris Mosley, Curtis White, Taylor Cockerel, Eric Lockwood, Logan Anderson, Travis Tartar, Paul Meredith, and Alex Oldham. Everyone had a great time at the 2nd Annual Basketball Game, and we are looking forward to having another successful game next year.